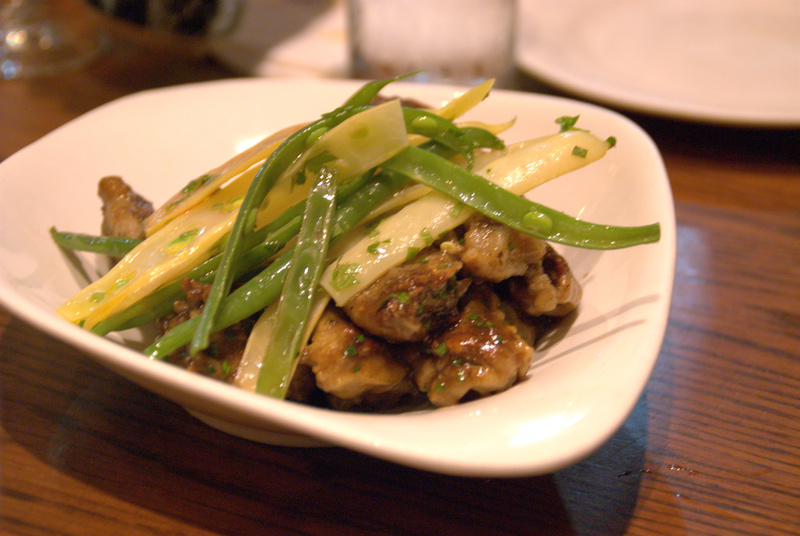 While rare, there do exist a few restaurants in NYC that are completely deserving of its hype. 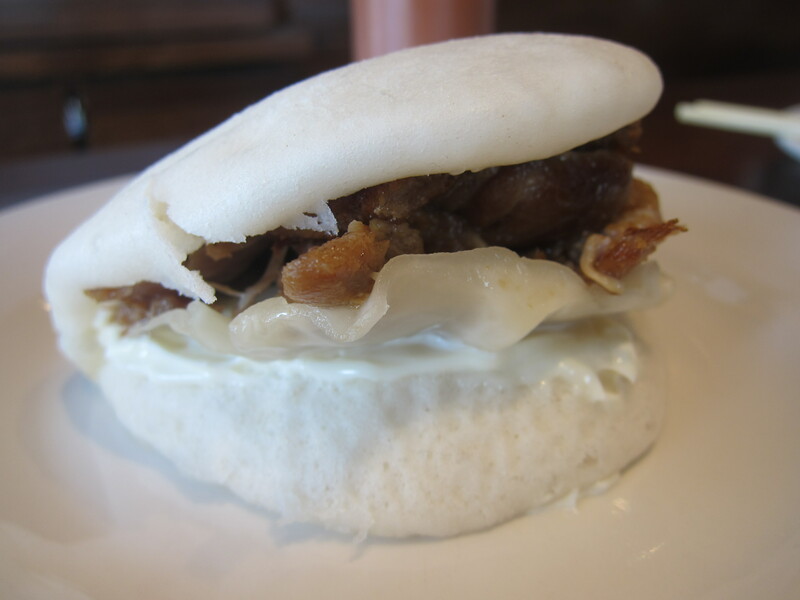 Momofuku Ssäm Bar is certainly one of these establishments. I am a pretty big fan of David Chang’s contributions to the carnivores of NYC: the fried chicken meal at Momofuku Noodle Bar, the beef seven ways tribute at Má Pêche, and the deep fried Chang Dog at PDT. 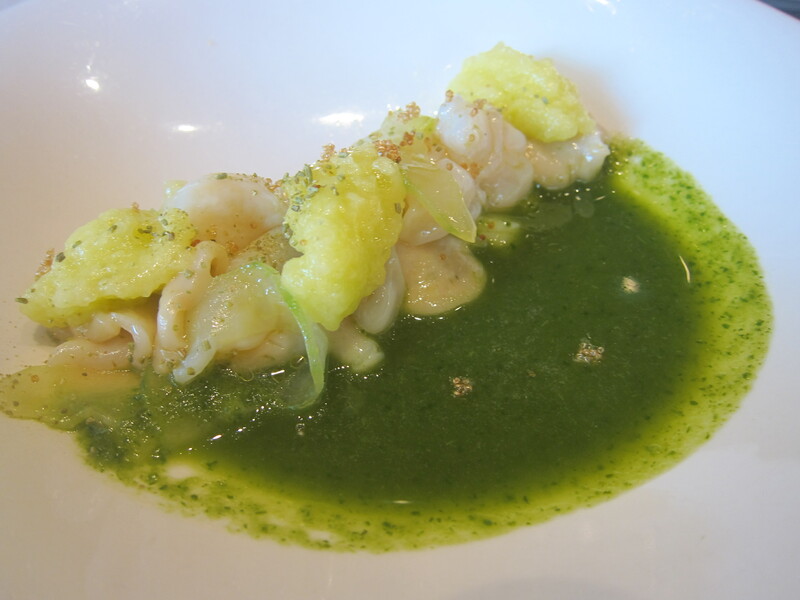 Momofuku Ko’s tasting menu isn’t terrible either. However, the Bo Ssäm meal at Momofuku Ssäm Bar is by far one of my top meals in NYC to date. This post is dedicated to the large format Bo Ssäm meal. 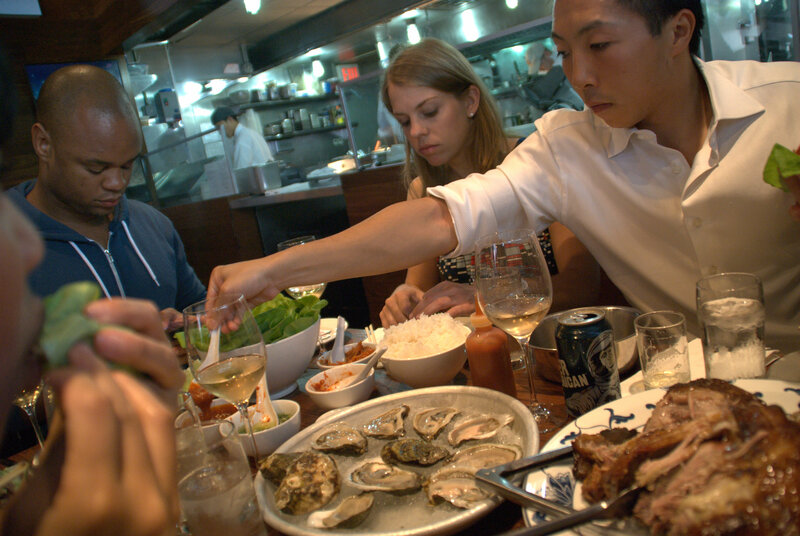 This epic meal includes about 6-8 lbs of a whole slow cooked pork shoulder, a dozen oysters, white rice, bibb lettuce, ssäm sauce (korean bbq sauce), and kimchi and ginger scallion sauce. 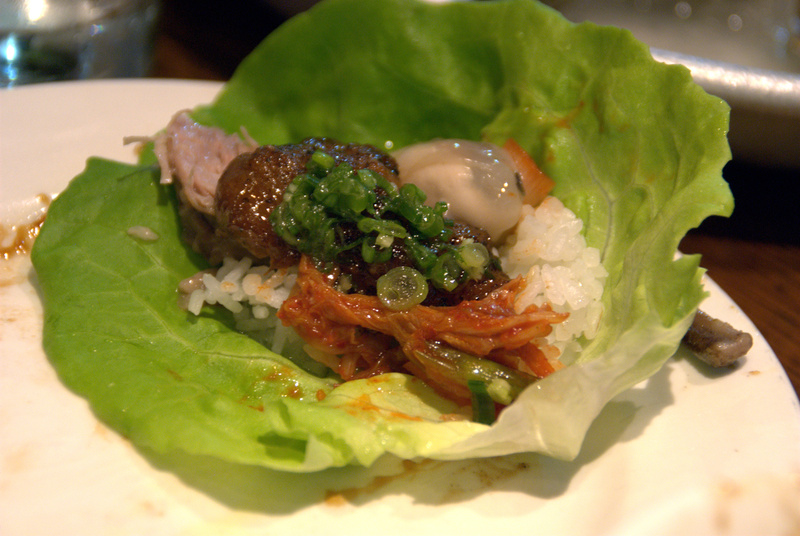 Ssäm is Korean for “enclosed” or “wrapped,” which is what diners are encouraged to do by making lettuce wraps with the pork and various condiments. The whole pork shoulder is serious business. The pork is cured overnight, rubbed all over with brown sugar and kosher salt, and slow roasted for 6-8 hours to perfection. The results are tender, juicy, falling-off-the-bone meat that will make you realize why Wilbur had to make that ultimate sacrifice (sorry Charlotte). Like all of David Chang’s special fixe prix meals (Ko, Beef 7 ways, Fried Chicken, etc), you must make a reservation for the Bo Ssäm on Momofuku’s unique(ly frustrating) online reservation system. Snagging these highly coveted reservations require patience and perfectly timed clicking… that or an incredibly flexible dining schedule several weeks in the future. But trust me, this meal is worth it. The entire meal will cost $200 (excluding tax, tip, drinks + extra dishes) for your entire party, which allows up to 10 guests (6 minimum). 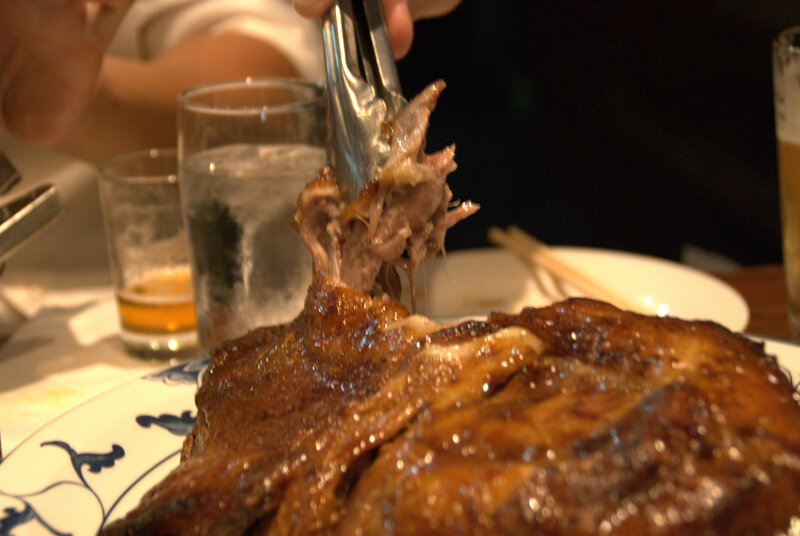 I always try to bring a group of 10 because of the sheer amount of food; even the biggest eaters will not be able to take that whole pork shoulder down in one sitting. 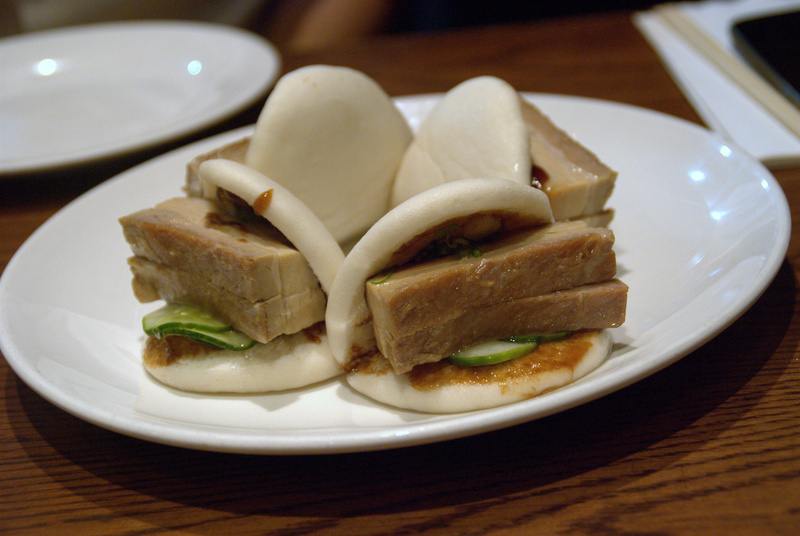 Even when ordering drinks and appetizers (including the must-order steamed pork buns), the average cost for this meal per person is usually $50-70. I have only ever dined at Ssäm Bar for the Bo Ssäm meal; however, I have never been disappointed when ordering dishes a la carte. 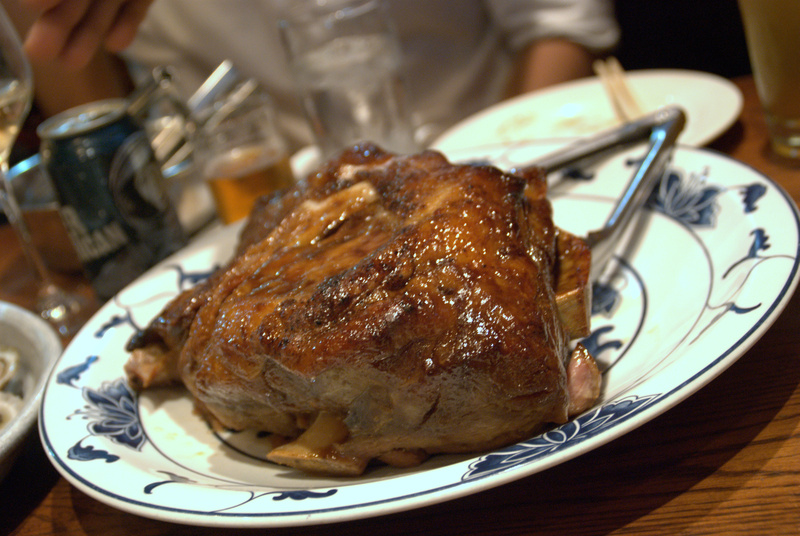 Reservations are only required for the large format meals like the Bo Ssäm and the latest addition, Whole Rotisserie Duck. Otherwise, it is walk-in only. If you can still manage to stand after this meal, make sure you cross the street for some of the innovative desserts at Momofuku Milk Bar! I would come back to NY to eat here again!